Devi Sankaree began her career in journalism at the age of 21. While completing a BA degree at the University of Natal in Durban, she landed a freelance position at SABC Radio. Devi, born in Umzinto on the South Coast of KZN, rapidly moved from presenting music shows and reading the news, to becoming a talk show host for national public broadcaster, Lotus FM. Devi’s daily radio chat show, which ran for seven years, quickly gained the reputation for its straightforward approach to tackling sensitive and controversial issues. After completing an Honours degree in Drama and Performance Studies and a Higher Diploma in Education, Devi joined the education fraternity while still freelancing on radio. Then, a year into her stint as a high school educator, she resigned from the Department of Education after being offered a permanent position as a talk show host and current affairs anchor. Devi’s most memorable interview on radio was in 1998 when she interviewed former President, Nelson Mandela. Devi’s television break came in 1996 as a freelance continuity presenter for SABC 1’s Eastern Mosaic. While keeping her radio and television career on the boil, Devi then joined the Sunday Times in 1998 as a weekly columnist. A year later she was their Features Editor in Durban. Devi’s weekly column ran for sixteen successive years. Devi’s work in print was taken a step further in 2004 when she won the prestigious British Council scholarship for creative writing. 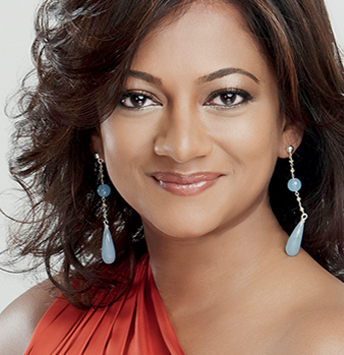 In January 2002, Devi joined the Carte Blanche team. Her more memorable stories have included interviews with Kenyan Nobel Laureate, Warangai Mathai, international financial guru Robert Kiyosaki and music icons Quincy Jones and Lionel Richie. But, Devi’s passion for investigative stories has seen her work on many stories which went on to make headlines. These include her investigations into: corruption at the Medical University of South Africa, the health crises in the Eastern Cape, Robert Mugabe’s “Operation Murumbatsvina” campaign, the Inge Lotz murder, Nkandla and the Oscar Pistorius Trial. Devi’s fearless approach resulted in many life-threatening situations for her and the team. One of which was an assault which occurred while working on a story about the “Gum Tree Gang,” a band of appliance repairmen in Durban. The next incident transpired on the campus of the Medical University of South Africa where Devi and the crew were locked up in a garage and threatened before escaping. After completing a Post Graduate Diploma in Business Management and an MBA in 2003 through the University of Natal, Devi added to her skills by moving into the media training environment where she coaches senior managers on media strategy, crisis communication and interview techniques. Devi is also a sought-after MC and guest speaker. But, besides her achievements, Devi is inherently still a wife and mum to two teenagers.